A couple of weeks ago, a friend of mine mentioned that she had made a goal to eat healthier. She said she was planning on making one new healthy supper each month this year. I immediately thought, but did not say, because that would have been judgmental or rude or something, "only one?! Really?" I mean any effort to eat healthier is a step in the right direction, right? And I want to support and encourage that. So I kept my mouth shut. But then she said someone else had said that exact thing to her. So I felt ok saying that I agreed. Only one? Really? Giving her the benefit of the doubt, I asked if she was putting the emphasis on "new," as in, she already eats pretty healthfully and she just wants to try new things, but no, that wasn't it; the emphasis is definitely on the healthy here. But what is healthy, exactly? And what's unhealthy? I mean, some people think cutting out whole food groups, like grains, or dairy, or meat, is healthy. Some people say low fat is healthy. I know at least one person who insists that real butter and whole milk are healthy foods. Some people avoid saturated fats at all costs, but now coconut oil is all the rage. Solid at room temperature = saturated fat. Some people say low carb eating is the way to go. A quick Google image search reveals that when people think of healthy food, they think predominantly of vegetables and fruits. My older boys, when they were in 5th grade, had a health class assignment that really annoyed me. They were tasked with bringing in nutrition labels from a healthy food and an unhealthy food. My problem with this assignment was two-fold. First, the foods that are healthiest (at least in my opinion), are much less likely to have nutrition labels. When's the last time you saw a nutrition label on Brussels sprouts? I begged both the boys to let me print out a "nutrition label" for broccoli or something, but no dice. I think AKD brought in a label from a can of green beans, which was, of course, healthy, but less healthy than fresh green beans because of the added salt. My second problem with this assignment was, who decides what's healthy? I mean, AKD thought those canned green beans were healthy, but I knew those green beans had issues. I think my friend, possibly subconsciously, even, associates healthy with boring, or tasteless, or even downright yucky. And unhealthy means scrumptious, which is a shame. I think that's why she's not willing to commit to more than one "healthy" supper a month. The truth is, we need healthy fats. We need complex carbohydrates. We need lean protein. To me, eating healthfully means eating whole, unprocessed foods, in moderation. And that, to me, is delicious. What does healthy eating look like for you? Do you remember when I told you about KIND bars? Probably not, so...to review, click here. I tried a KIND bar. 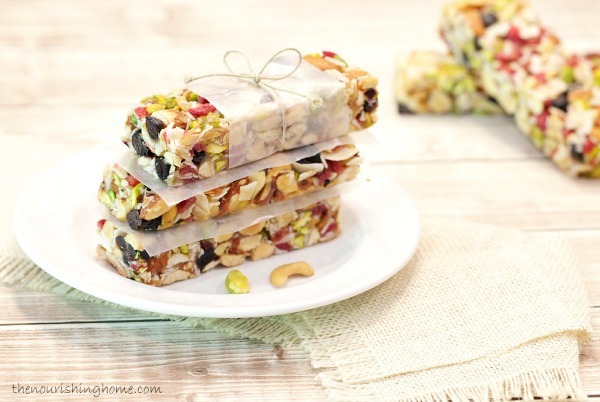 They are so, so, SO delicious, and I love that you can see and identify what's in them, just real fruit and real nuts, sweetened by real honey. But I've never bought them. Wanna know why? They are super expensive. Around $1 per bar. Or more, depending on where you get 'em. And these are little bars. So tiny! But they are so yummy. That's why I'm so excited to share this recipe with you. It tastes just like KIND bars, at a fraction of the price. You have got to try these. Preheat oven to 300 degrees Fahrenheit. Grease well an 8x8 pan. In a large bowl, mix together first 4 ingredients. Pour the mixture into prepared pan, and using a piece of wax paper that's been sprayed with cooking spray, firmly pack down the mixture. Bake in preheated oven for 20 minutes. Remove from oven and allow to cool to room temperature. Place the pan into the refrigerator to continue cooling. When the bars are cool, cut into 8 bars. Wrap individually and store in the fridge or freezer. Note: This recipe is completely customizable. Feel free to use the nuts, seeds, and fruit that you like. You can even add mini chocolate chips. Just be sure to keep the amount of dry ingredients a little under 2 cups. 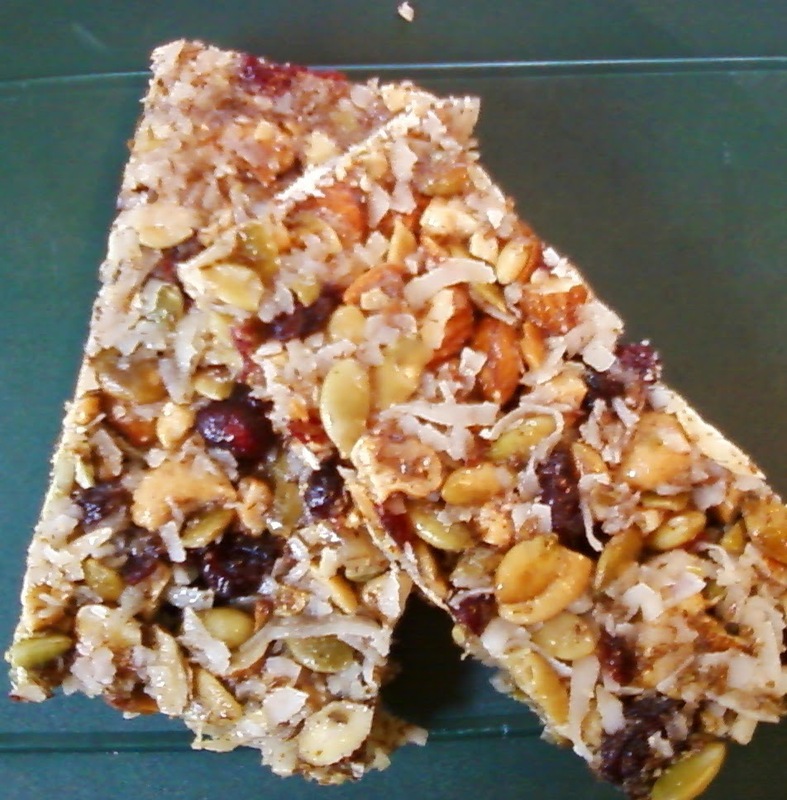 I used 1/2 c. cashews, 1/2 c. almonds, and 1/3 c. pepitas, as well as 1/2 c. dried cranberries. Oatmeal and pecans would make excellent additions as well. Additional note: You could easily cut these into 12 smaller bars, which would make these around 150 calories per bar. I recently received a copy of Clean Slate: A Cookbook and Guide from the editors of Martha Stewart Living. More than just a cookbook, Clean Slate, from the editors of Martha Stewart Living, provides you with the nutritionally sound information you need to shop for and prepare food that nourishes body and mind. You'll find guidelines for restocking your pantry with whole grains, beans and legumes, lean proteins, and healthy fats; glossaries of the best sources of detoxifiers, anti-oxidants, and other health-boosting nutrients; and menus for a simple 3-day cleanse and a 21-day whole body detox, with easy-to-follow tips and strategies for staying on track. The book begins with tips for eating clean, nutrition information, and a couple of detox eating plans. The next section contains almost 200 recipes including breakfast, drinks, soups & stews, salads, main dishes, snacks, and desserts. This is a beautifully laid out book with a nice heavy cover and gorgeous color pictures of each recipe. The nutrition information is good, solid information, but is really nothing new. It's organized well, and would be a great, concise resource for someone just starting out eating clean. I especially liked the "Know your Nutrients" section, which highlights nutritional powerhouses that are the best antioxidants, detoxifiers, inflammation fighters, and digestive aids. I love that a photo accompanies each recipe--after all, I read cook books for the pictures :) The recipes represent a good variety of healthy options, and recipes that are vegan, dairy-free, nut-free, and/or gluten-free are labeled as such. In addition, a recipe index lists each recipe with color-coded dots so that the reader can easily identify recipes which satisfy his or her nutritional requirements without leafing through the entire book. 1. The cover of the book has flaps that can be used to mark a page. I love that! But the flaps are not quite long enough, so the pages are slightly bent when the flaps are being used. 2. As I was leafing through the book, I noticed that a recipe for Sardine salad with lemon and herbs is labeled vegan, both on the recipe page and in the index. It's not a huge issue, since I doubt anyone who actually eats vegan would believe that a recipe that calls for sardines is vegan, but that mistake makes me suspect that there are more similar types of mistakes. Bottom line: This is a gorgeous book that, despite a mistake or two, would make a good clean-eating resource. I received this book for free from the publisher through Blogging for Books for the purposes of this review. All opinions are my own. Today's my baking and food prep day. I didn't really plan it this way, but I figure if I'm heating up the oven, I might as well do all my baking at once. I needed to make the 30 minute rolls today because I moved up the hot beef sandwiches due to evening commitments. Also? I wanted to use my new crock pot again. As soon as possible. And we're almost out of soup, so I need to make some more (I eat soup for lunch just about every day. You knew that, right? I make a big pot, sometimes for supper, sometimes (like today) not, and freeze the leftovers in single portion containers). But before I make more I needed to can some pinto beans, because it has been way too long since I've had my favorite soup, and my favorite soup requires pinto beans. FYI, way too long = about 8 days. So please excuse that smear of flour on my nose and the honey dripping from my sleeve. Oh, and the mess! I'll get to the dishes in a little bit. Because who has time to take a picture, edit it, and load it when there's baking to be done? I started this morning with the beans, because I was hoping to make that soup today. Actually, I started the beans soaking yesterday. Now they're done and the canner's cooling. I'm kind of afraid to open it, though, because explosions could occur. And can I just say? Good thing Bubby's bus was late. I thought that thing would never pressurize. While I was waiting for about 3 pots to boil, I put the roast in the crock pot for the hot beef sandwiches. Next, well, after a brief delay waiting for the bus, I started in on the baking. I like to bake in order of oven temperature, lowest temperature first. Because it's kind of hard to tell when an oven has cooled off enough, until it's actually too cool. Much easier to tell when it's warm enough. Lowest temp was the "KIND" bars at 300 degrees Fahrenheit. Real, whole, simple ingredients. (Hopefully) incredible taste. The Freakin' Insane Chocolate-Chip Applesauce Quick Bread was next. It's in the oven now, almost done. When I told MC I was going to make Freakin' Insane Chocolate-Chip Applesauce Quick Bread this week, he told me I shouldn't say that--it's a bad word. I told him I don't really consider "Freakin'" to be a bad word, especially since it's in the title of the recipe. I mean, I don't go around saying "Freakin'" all the time, but, you know. He responded that he does consider it a bad word and that I shouldn't say it. As the kids say, burn. Here's the recipe. Since I used cinnamon applesauce, I halved the cinnamon. And I have to tell you, it smells Freakin' Insane-ly good in here. I'll wash my mouth out when I do the dishes. The 30 minute rolls are ready to go in the oven. The longer that bread takes, the more time my rolls have to rise. The longer they have to rise, the bigger they'll be. Win! Next, I'll brown some ground beef with onion for my favorite soup. It won't be done in time for lunch, but it'll make a nice afternoon snack. It's not even noon, and just look at what I've accomplished! A counter-and-sink-full of dirty dishes! 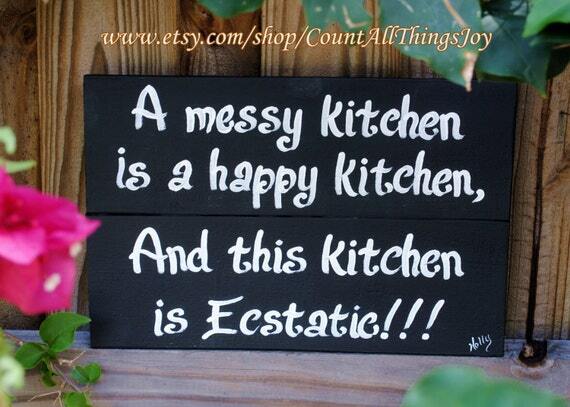 AND dirty counters! AND recipes and ingredients strewn haphazardly about! AND dirty, slept-in clothes! AND 2 out of 7 baking and food prep projects DONE! But not all the way! And then. The clean up. Dum, dum DUMMMM! (that's sinister music, just in case you couldn't tell). All right. Back at it. If you don't hear back from me, it means the pressure canner exploded. Or I collapsed in exhaustion. Or I have nothing to say. Hubby bought me a crock pot. Yay! It's oval (thanks for that suggestion, Bert!) and programmable, with a temperature probe (fancy!). I made yogurt in it yesterday, and I've got hot beef sandwiches on the menu this week, so I will report back in a week or two to let you know what I think of it. This morning, my 1st grader was awake earlier than he needed to be. Still fuzzy from sleep and rubbing his eyes, he climbed into bed with me and snuggled under the covers. I love these cozy early morning snuggles with my youngest. I know that time is fleeting and in the blink of an eye he will be sleeping late and our early cuddle sessions will be reduced to pleasant memories. This morning, he brought me a book to read. Everything you need to know about SNAKES and Other Scaly Reptiles. Can I just say? When I first read the title I thought it said ...Other Scary Reptiles. Anyway! As soon as I read that title I was immediately struck with an all-consuming desire to know, well, everything I needed to know about snakes. And other scaly (or scary, as the case may be) reptiles. I need to know what I need to know. So I'll know it. Because I need to. Know it. 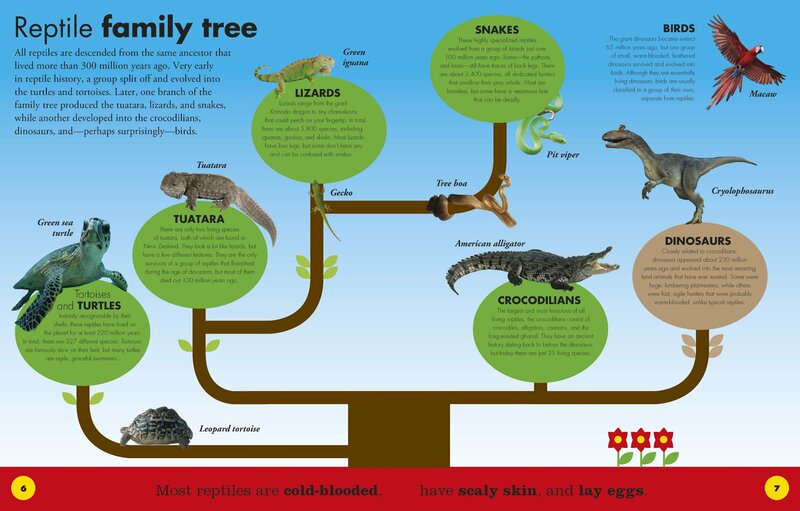 So far, I need to know (and presumably you need to know as well, since I doubt DK took the time to write the book just for me), that the reptile family tree includes tortoises and turtles, crocodilians, dinosaurs, tuatara, lizards, and snakes. Birds are not considered reptiles, but have roots in the reptile family tree as well. I also need to know that there are lizards larger than a man and others smaller than a fingernail (Bubby and I compared fingernails. His are much smaller than mine, but either way, that's one small lizard). Additionally, I need to know that 60 million years ago, there lived a snake, named Titanoboa, that was as long as a school bus and weighed as much as 20 people. I didn't know they even had school busses back then. Then again, some of the school busses I've been on looked like they might have been about that old... Some people in Canada made a life-size robotic Titanoboa. To study how it moved. So many things I/we/everyone needs to know. And we're only on page 11. I'll report back when I know more. Of the things I need to know. Because we're all about educating the public here, and these are things you need to know, too. I'm certain of it. I've been contemplating completing a Daniel fast, so I was excited to read this guide by Kristen Feola. Fasting is a spiritual discipline during which one denies oneself food, or certain types of food, for a specific period of time as an act of worship and surrender. A Daniel fast is based on the fasts the Biblical Daniel completed that are recorded in Daniel 1 and 10. People participating in a Daniel fast eat only vegetables, fruits, nuts and seeds, whole grains, legumes, and spices and seasonings, and drink only water, abstaining from meat and dairy products, sugar and all sweeteners, yeast and other leavening, refined and processed foods, solid fats, and beverages other than water. The Ultimate Guide to the Daniel Fast consists of 3 sections. In part 1: The Fast, Ms. Feola explains what fasting is and is not, types of fasts, and a Biblical perspective of fasting. She also helps readers create a fasting plan, with practical suggestions to prepare spiritually and physically, before, during and after the fast. Part 2: The Focus helps readers "focus on God by feasting on His Word" with 21 daily devotions. Part 3: The Food is the longest section, and it contains a list of foods to eat and avoid, suggested meal plans for each week of the fast, and scores of Daniel fast compatible recipes. I really like this book. It is easy to read and packed with great information. I was able to read all of part 1, explaining the whats and whys of fasting, in about 45 minutes. That means that you can pick up this book and know everything you need to know to get started with your own Daniel fast in less than an hour. The devotions are the perfect length, and contain verses for additional study for readers who want to go deeper. The suggested menu plans make the fast seem doable and less overwhelming, and the recipes look interesting and delicious. After reading this book, I am confident that, while it would be challenging, I could successfully complete my own Daniel fast. Bottom line: this is a great resource for anyone who has committed to or is contemplating a Daniel fast. It has everything you need to be successful. My crock pot fell victim to inertia last week. You know, an object in motion tends to stay in motion? Yup. Still true. This means we will not be making cool ranch crock pot chicken this week, but I left it on the menu because I hope to do the same thing in another way. I also will not be making yogurt in my crock pot this week. Don't worry, though. I do have a recipe involving hot water and a cooler that I can use if I get desperate for creamy yogurt goodness. I wanted to mention that we loved the Zuppa Toscana last week. It was on Olive Garden copycat recipe and it did not disappoint. I did not use the crock pot because, you know, inertia, but it cooked beautifully on the stovetop. I substituted spinach for the kale because I already had it on hand, and used turkey Italian sausage for the same reason. Perfect cozy meal. FYI, you can substitute evaporated milk for the heavy cream and turkey bacon for the bacon if you'd prefer the soup to be lower in fat. Oh, and if you have any recommendations for my next crock pot, let me know. I've revised this recipe to work in any slow cooker, whether yours cooks hot or slow. Click here for the revised recipe. If you've been reading my menu posts, you've probably noticed that I've been making homemade Greek yogurt about once a week for the past couple of months. Greek yogurt is all the rage these days, and I can see why. It's got lots of calcium and potassium, is packed with high quality protein, and it has all those beneficial bacteria swimming around in there. The thing is, I don't really like Greek yogurt, at least none of the commercially prepared Greek yogurts I've tried. Y'all! I love this homemade Greek yogurt. It is so creamy, and almost sweet. It is so good, I even eat it plain, although I love it with mixed berries or PB2 as well. So if you've tried to jump on the Greek yogurt bandwagon, but just can't because of the tangy taste, try again with this easy to make homemade Greek yogurt. Greek yogurt with frozen mixed berries. As the berries melt, the juices mix with the yogurt and the taste is oh-so-divine. I use this yogurt in smoothies, eat it plain or in fruit parfaits, and I use it as a substitute for mayonnaise and sour cream in recipes. When I say easy to make, I mean just that. This is so easy. Even though I know the science behind the process, I'm still always a little surprised when it actually works, because it seems like making yogurt ought to be more complicated. All right, enough talk. On to the recipe. 1/2 c. plain (no flavors, no sugar), active culture yogurt (make sure the container says active cultures and/or has bacterial scientific names in the ingredients list) -- the first time you make this, use store bought yogurt (I used Stoneyfield Organic). For subsequent batches, save and use some of your homemade yogurt. This yogurt is definitely easy, but it is also time consuming. The entire process takes about 15 hours, start to finish, so you need to plan ahead. Don't worry, though, only about 15 minutes of that time is hands on. So make sure you will be around to complete all the steps for your yogurt. I either start mine first thing in the morning so it will finish before I go to bed, or I start it around 4 p.m., so it can sit overnight and is ready in the morning. Place 8 cups of milk into a crock pot, cover, and heat on low for 2 1/2 hours. Turn off the crock pot and let sit, undisturbed, for 3 hours. Scoop about 2 c of the still warm milk out of the crockpot, and whisk in 1/2 cup yogurt. Add this mixture back into the crockpot and whisk to combine. Put the top back on the crockpot, wrap the entire crockpot in a bath towel or blanket to keep the mixture warm, and let sit for at least 8 hours, or overnight. When time is up, unwrap your crockpot, take off the cover, and give your beautiful yogurt a little stir. If you want regular yogurt, you're done--spoon the yogurt into glass or plastic containers, and store in the fridge. If you want Greek style yogurt, spoon the yogurt into a large strainer, into which you've placed a double layer of paper towels or cheesecloth. Let sit for an hour or two, until it's the desired consistency. I know y'all think I'm crazy, talking about "Christmas" cookies a scant few weeks after Christmas. You've probably had your fill of sweets and treats and are ready to move on to the healthy eating portion of the program. The I-ate-way-too-much-and-now-I-feel-guilty part. The if-I-see-another-peppermint-anything-I-might-explode part. Not me. I love peppermint and am willing to eat it any time. 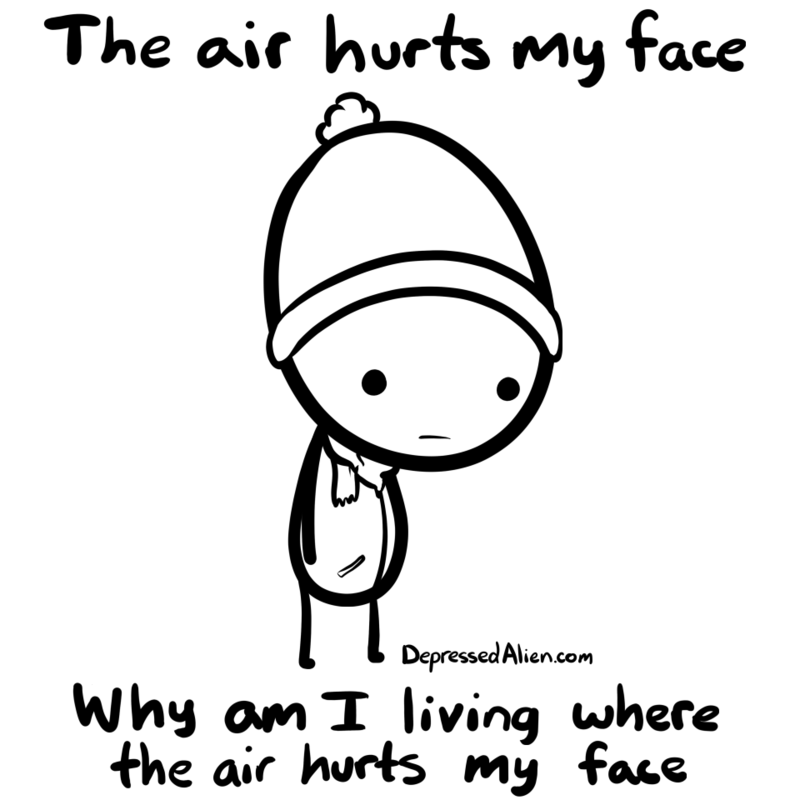 Even *gasp* not at Christmas. I've had a bag of candy cane kisses burning a hole in my cupboard, so the other day I decided to do something about it. 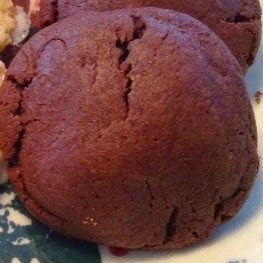 I couldn't decide if I wanted sugar or chocolate cookies, so I made both, and you can, too. And you really should--we couldn't figure out which one was our favorite. One 10 ounce bag was enough to make 4 dozen cookies, one batch of each. Mix butter and sugar until well combined. Add egg and vanilla and mix until light and fluffy, about 2 minutes. Add flour, baking powder, baking soda, and salt. Stir until combined. 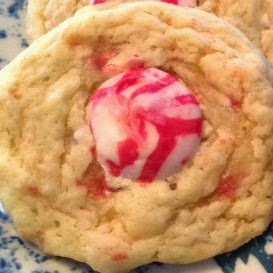 Add white chocolate chips and crushed candy canes and mix until chips and candy are evenly distributed throughout the dough. Scoop your dough by scant tablespoons, onto a greased cookie sheet. I use this cookie scoop. Bake for 7-9 minutes, or until the edges are set and the tops are cracked. 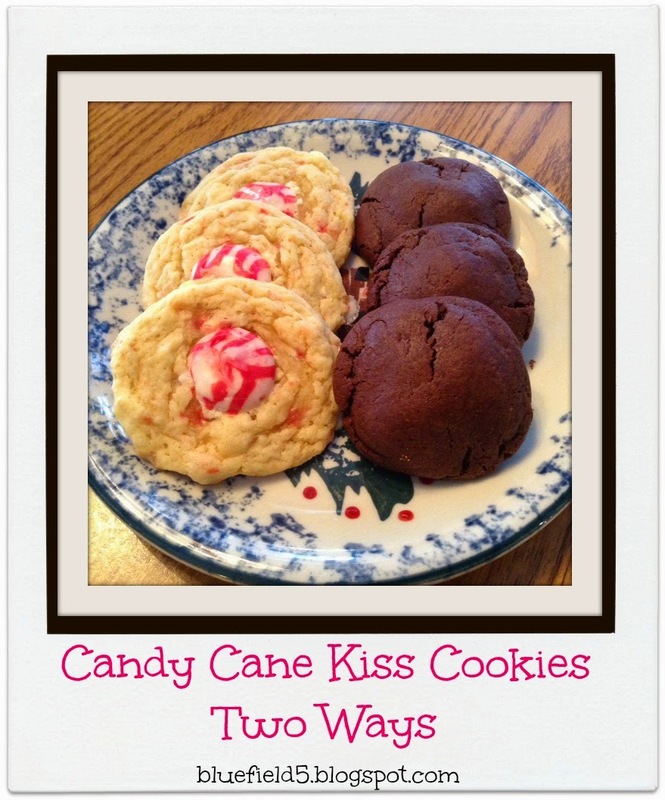 If you want melted kisses (like mine--they store easier, and I think they're also easier to eat), immediately place an unwrapped kiss in the middle of each cookie, let sit for a few minutes until the kiss is melty, then push down on the tip with the back of a spoon. If you want stand-up kisses, allow cookies to cool for a few minutes before pressing an unwrapped kiss in the middle of each cookie. Sift in cocoa powder and add flour, baking soda, and salt. Gently stir until just incorporated. Add chocolate chips and powdered candy canes, if using, and stir until distributed evenly throughout the dough. Scoop out tablespoons-full of dough and flatten. 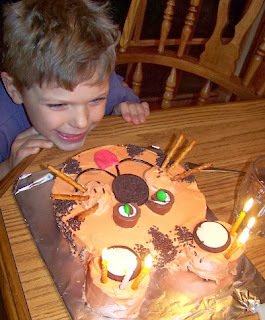 Place an unwrapped kiss on the flattened dough and fold around to form a ball of dough around the kiss. Place on a greased cookie sheet and bake for 8-10 minutes. I got to snowblow today. It wasn't entirely necessary, or actually not ... *ahem* ... at all necessary, considering less than an inch of fluffy snow fell overnight and above freezing temperatures are predicted for our area this weekend. But I was in the mood for manual labor*, and with 80% of the household now trained in proper snowblower use, I have to seize the opportunity when it arises. The opportunity, in this case, being that the 3 other trained snowblowers were gone for the day. I may or may not have been skipping on my way out to the garage to start up the beast. And there may or may not have been a gleeful fist-pump or two. And I'm sure the neighbor dogs were barking for other reasons, not because of my celebratory, "yippee," as I emerged from the darkness of the garage into the light of day with the snowblower clearing the way for me. Not my snowblower, or my driveway, but I felt like I needed a visual. I love clearing snow. I really do. There is something so satisfying about being able to measure my progress in the neat and clean lines of bare pavement left by my shovel or snowblower. There is something gratifying about being able to see how much I have accomplished, and how much remains to be done. It is rewarding to use my body for a useful purpose, and the methodical movement, back and forth, in the crisp, cold air, clears my mind, even as my body is clearing the snow. Best of all, the driveway, once cleared, remains clear, at least for a while, until it snows again. The rest of my work is not easily measured, and so easily undone. So I got to snowblow today, and for that hour, there was external evidence of my effort. Now, I'm off to take care of the rest of my work. The invisible work. The work that is never, really and truly, done. The work that I'm not sure if I'm doing right. At least, my friends, I can clear the driveway. *Those of you who have seen my driveway know why I consider using the snowblower on it to be manual labor, and why, even with less than an inch of fluffy snow on it, it's not practical to shovel the whole thing. For those of you who have not seen my driveway, trust me on this. 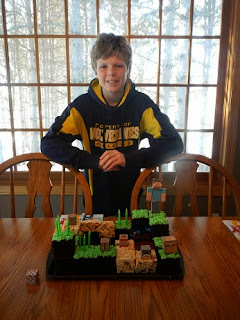 A little late, but here's a list of my 14 most popular posts in 2014. It's fun to look back at what y'all found interesting. So, y'all like to read about recipes, book reviews, birthday cakes, Valentine's day (or maybe compilations), and cleaning. I recently read The 13th Gift: A True Story of a Christmas Miracle by Joanne Huist Smith. Or maybe I should say I recently devoured The 13th Gift by Joanne Huist Smith. As stated in the subtitle, this book is the true story of a Christmas miracle. In October of 1999, Ms. Smith's husband of 20 years died suddenly, leaving behind his wife and 3 children. In December of that year she's holding it together for her kids, paying the bills and getting everyone where they need to go, but is not at all in the mood for Christmas. And who can blame her? This is not how it was supposed to be. Then, 13 days before Christmas, small gifts begin appearing on the Smiths' porch, along with notes changing the words to "The Twelve Days of Christmas" to reflect the gifts left by their "true friends." It's a mystery, who's leaving the gifts, and over the course of the next 12 days, a miracle occurs, as Ms. Smith realizes that just holding it together is not enough, and the Smith family finally begins to heal. I really, really liked this book. I read the whole thing, all 201 pages of it, within 18 hours of it landing on my porch (and I was sleeping for at least 8 of those hours). Ms. Smith's writing style is real and down to earth. She recalls that time in her life with honesty, recalling the raw emotion of those days. The book is so relatable. I just had to keep reading to find out what happened next, and if the gift givers would reveal themselves. This is, when it comes down to it, an inspiring story of hope in the midst of despair. It is the story of how a small act of kindness can have amazing long-term effects. Bottom line: read this book. I received this book for free from the publisher through the Blogging for Books program. All opinions are my own. So I learned something last week. The crock pot is a good thing. A very good thing. But too much of a good thing is not a good thing. I actually made 4 of the crock pot meals last week, and they were good (stay tuned for my favorite from the week), but I felt so much pressure to get the food in the crock pot at the right time each day. This was further complicated by the fact that our crock pot seems to cook very hot, so most recipes need to be cooked for less time than stated, and I haven't quite figured out the conversion yet. I ended up scrapping one of the meals altogether (I'll make it this week), and rearranged a couple of others. Anyway, the moral of the story is I should limit my crock pot meals to 2 or fewer each week. Still here? So my favorite crock pot meal from last week was Chicken and Rice Casserole. It was creamy and delicious and was just the epitome of comfort food. Here's what you do. Spray the inside of a large slow cooker (mine is 6 quarts) with cooking spray. Combine 1 can of cream of celery soup (I made my own using this recipe) and 1/2 c. brown rice in the greased slow cooker. Stir until well combined. Lay 1.5-2 pounds of raw cubed boneless skinless chicken breasts on top of the rice mixture. Sprinkle with salt and pepper to taste, and pour another can of cream of celery soup on top. Sprinkle with 1 packet of dry onion soup mix (use this recipe to make your own) and pour 2/3 c water over the whole thing. Cover and cook on low 4-5 hours (more like 2.5 in my cooker), or until both chicken and rice are fully cooked but not dry. This morning I tried to pack up our Little People Nativity. I go back and forth on which of my Nativities is my favorite, but this one is always in the top 2, and it's the only one I got out this year. I love this thing. I say I tried to pack it up, because when I was gathering up the pieces, I couldn't find Jesus. Everybody else was present and accounted for. Mary, Joseph, 3 wise guys, 4 animals. Not Jesus. He was nowhere to be found. I had seen Jesus just yesterday, so I knew he had to be nearby, and I was looking around for him, a little annoyed that he was not in the manger where he should be. That's just like us, isn't it? We want Jesus to stay in the manger. Baby Jesus is so cute and cuddly, and it's such a warm and fuzzy story (although honestly, think about it. What's warm and fuzzy about giving birth in a barn? ), sanitized for the masses to feel good about. We fail to remember that yes, Jesus was born, and that's what we celebrate at Christmas, but that's not really what Christmas is about. It's really about God's plan for our salvation. That's where this is all heading. Christmas isn't the end, it's the beginning. Or, more accurately, Christmas is the continuation of a story that began before time. Jesus was born in a manger, yes, but he was never meant to stay there. We want Jesus to stay where we put him. We invite Jesus in to our lives, but don't tell him to make himself at home. We compartmentalize our lives, our selves, and we expect to Jesus to stay where we put him. In his little box. Where we can control when and where and how he gets out. But Jesus is so much bigger than that. Jesus cannot, will not, be contained. But Jesus also will not go where he is not welcomed. He will end up in the oddest places, where you'd never expect him, in a sewer, in the heart of an addict, under a bridge warming his hands over an oil barrel fire, behind bars in a prison. But you won't find him in the boxes we try to put him in. This wasn't the first time Jesus went missing. Remember that time in Jerusalem? When his mom thought he was with his dad and his dad thought he was with his mom? Jesus has a habit of not being where we humans think he should be. Find Jesus. Invite him in. Let him make himself at home in you. Give him access to every part of yourself, and you might find yourself in places you never expected, too. You all know that episode of Arthur? OK, right there I lost half of you. It's an animated series on PBS. 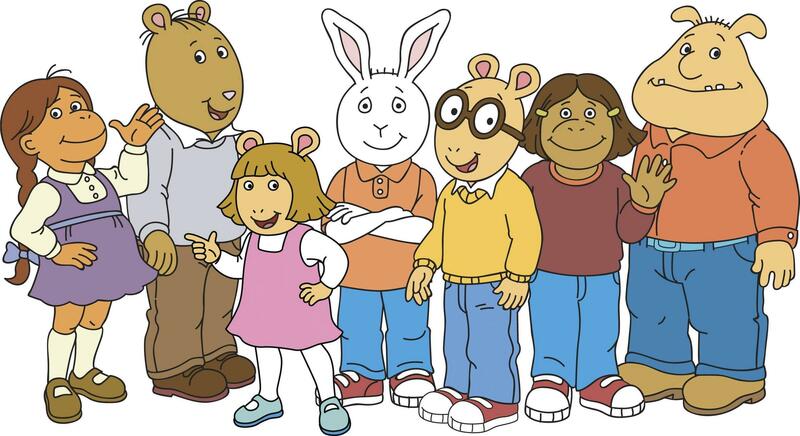 Based on characters created by Marc Brown. Did you know that for the first 5 years of my mommy-hood, we did not get broadcast network television? No ABC, no CBS, no NBC, no FOX. We missed years of Survivor. Went through withdrawal from ER. No local news or weather. But what we did have was PBS. Our favorites from that time? Cyberchase, Zaboomafoo, Zoom. Ah, the memories. Anyway, there's this episode of Arthur where there is a fire at school and the kids have to evacuate. The kids all react in different ways. Sue Ellen, who is an adventurer and writer, loses her journal to the fire. 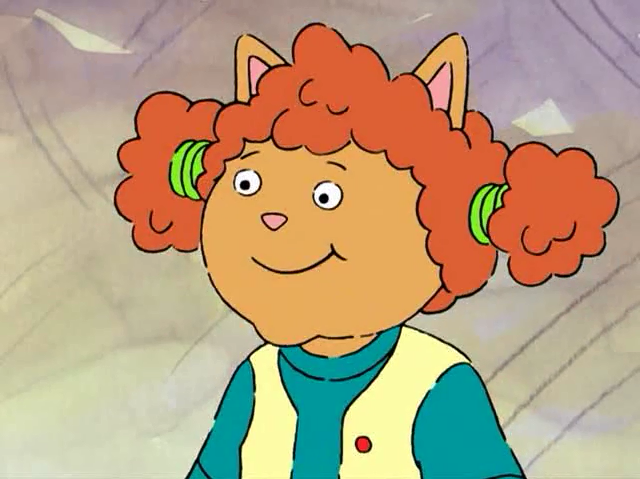 Her friend Muffy tries to cheer her up in the way Muffy knows best, by buying her a super deluxe, top of the line, expensive monogramed journal. But Sue Ellen is not having it. For days on end all she writes in her fancy new journal is... "I have nothing to say." Each new day, a new page, "I have nothing to say." Because for Sue Ellen, it's not about the journal. It's about the memories contained in those pages. It's about the knowledge that life is ephemeral and fragile. Eventually, Sue Ellen finds a scrap of a postcard that had been pasted into her old journal and on the strength of that hope, begins to write again. These days, I feel a little like Sue Ellen. I have nothing to say. Nothing, that is, I feel like you would want to read. But I want to write. So I will. Even if it's to write, "I have nothing to say." Happy 2015, y'all! My family rang in the New Year on a lake in the great white north. No really. On a lake. We were ice fishing, staying in a rented ice house on 18-22 inches of ice, which was on top of the lake, a about a mile and. Half from shore. Today, the kids are back at school, and I'm busy putting the house, and my brain, back to order. I am really looking forward to resuming my ordinary routines. I've mentioned I'm a bit of a cookbook junkie. I just love looking at pretty pictures of food and getting new ideas to feed my family. This weeks' recipes rely heavily on Fix-It and Forget-It 5-ingredient favorites: Comforting Slow-Cooker Recipes by Phyllis Pellman Good, which I've borrowed from the library. This is the perfect cookbook from which to cook this week. After the busy-ness of the past several weeks, I don't have the energy, patience, or brain-power to prepare complicated dishes. OK, let's face it, I don't have the energy, patience, or brain-power to prepare complicated dishes even when it's not the first week of a new year. Each recipe is simple, having 5 ingredients or less, with minimal prep. I can just load my crock pot in the morning and forget about supper until it's time to eat. Love it. Here's what's coming up on our menu this week.